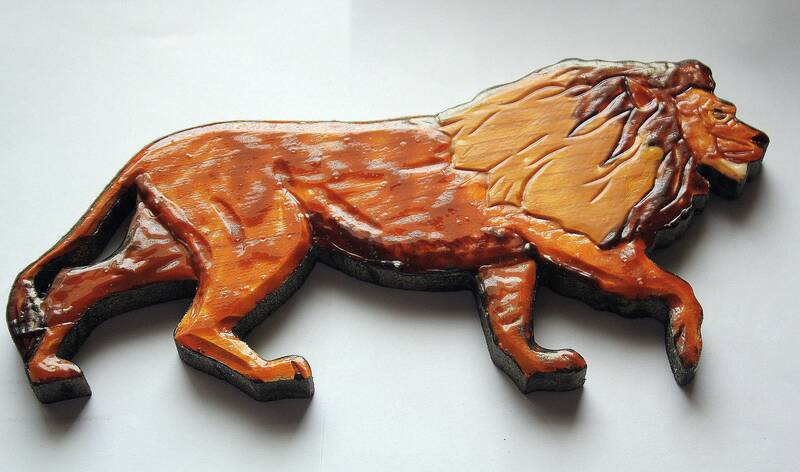 The lion is made from carved wood with enamel overlay. 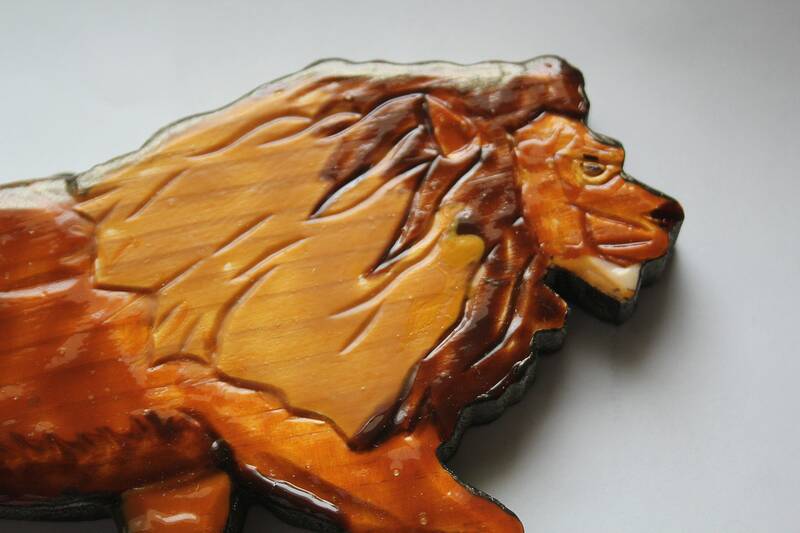 The colors are realistic as well as the anatomy of the lion. 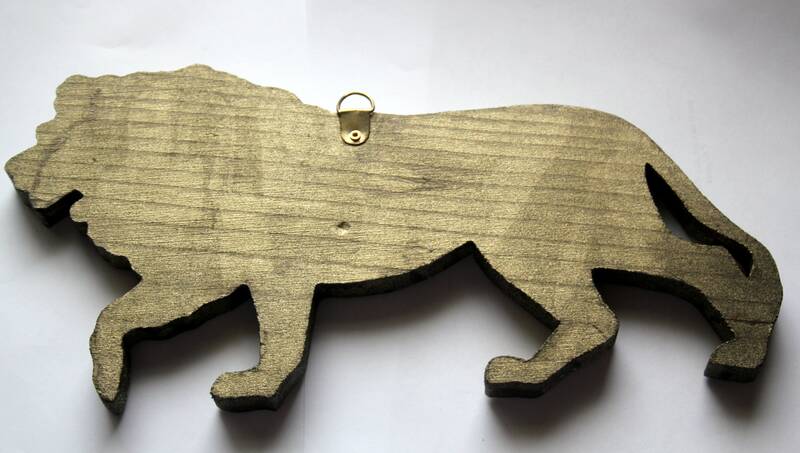 The plaque is light-weight and is hung on the wall with a D ring hanger. The back and sides are painted in a metallic black/brown paint. 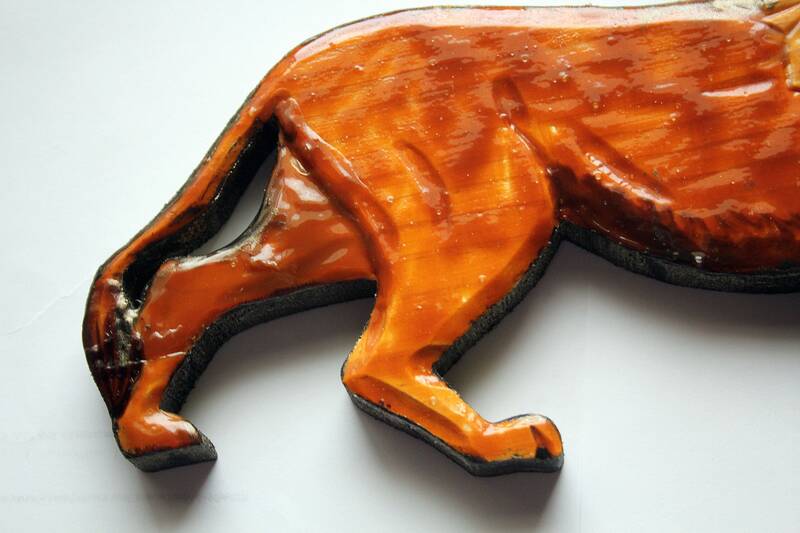 The whole piece is sealed with acrylic sealer.